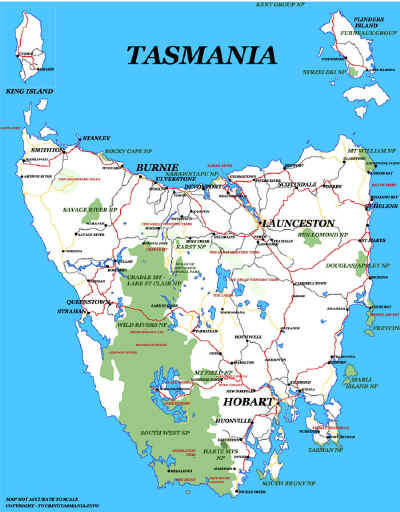 When driving between Port Arthur and the East Coast, the main highway heads back towards Hobart through Sorell - near Hobart. There is an alternative route between Orford and Coping along the Wielangta Forest Drive. 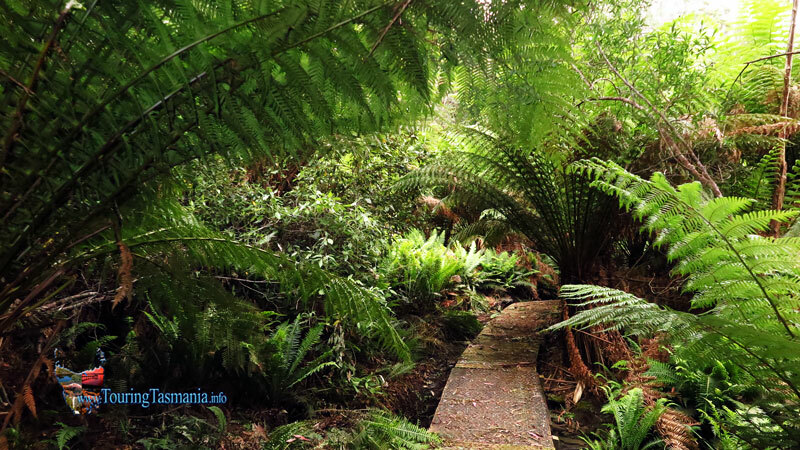 The road heading south from Orford passes by the Wielangta forest walk. The walk follows the road following Sandspit River. The track emerges again at a picnic area about 5 kilometres further along the road. An hour and a half walk one way. The walk is well signposted. The day we visited the track was in very good condition. We only walked along the track for 45 minutes. Lots of water pools along the way. Would be inviting in summer. Near the picnic area there was a short forest walk. A flood washed away part of the track and has not been repaired. The main issue with the road is the state of the road. The road is in very good between Orford and the picnic area. This part of the road is maintained by the Glamorgan-Spring Bay council. The road south beyond the picnic ground is in very poor condition in many places. In places driving at walking pace is required. Considerable care is required on this section of the road. 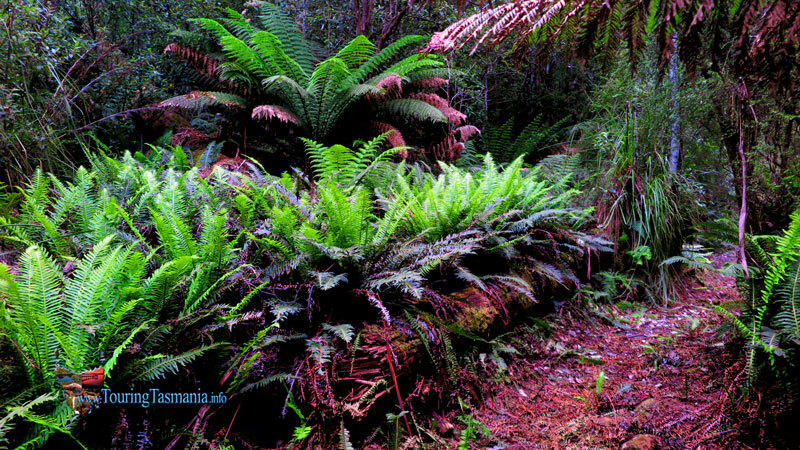 This part of the road is the responsibility of the Tasman Municipality. Ten minutes along the track from the northern end. 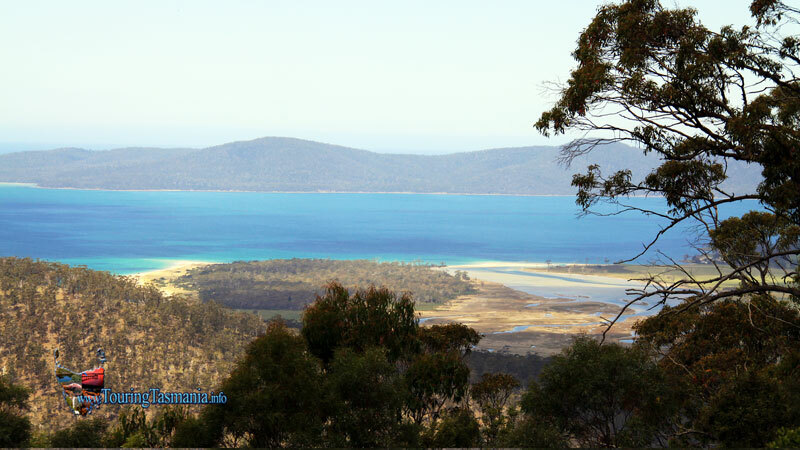 Below is the view from The Thumbs looking out towards Maria Island. 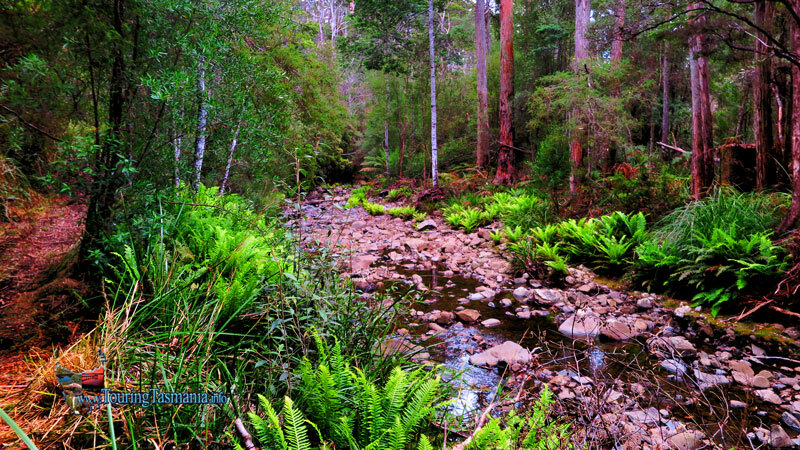 Access to the area is a few kilometers from Orford along the Wielangta Forest Road.